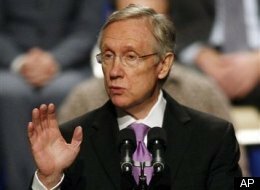 WASHINGTON — With just three days left until the country is set to begin defaulting on its debt, the House rejected a debt proposal by Senate Majority Leader Harry Reid (D-Nev.) on Saturday — a move Republicans designed purely for theatrics to show the bill lacked the votes to pass. The bill was rejected by a vote of 173 to 246. 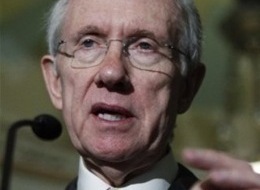 Eleven Democrats joined all of the House Republicans in opposing Reid’s bill. The defecting Democrats included Reps. John Barrow (Ga.), Dan Boren (Okla.), Bruce Braley (Iowa), David Loebsack (Iowa), Jim Matheson (Utah), Mike McIntyre (N.C.), Collin Peterson (Minn.), Mike Ross (Ark. ), Kurt Schrader (Ore.), Peter Visclosky (Ind.) and David Wu (Ore.). Reid and House Minority Leader Nancy Pelosi (D-Calif.) headed to the White House to discuss the state of play with President Barack Obama shortly after the bill went down. House Republicans pushed Reid’s bill through via a restrictive voting process: The measure was taken up on the suspension calendar, which requires a two-thirds vote to pass, bars amendments and limits debate to 40 minutes. The effect of taking up Reid’s bill on the suspension calendar — a move typically reserved for noncontroversial measures — is “a $2.5 trillion bill being brought up under the same process used for post offices,” McGovern said. WASHINGTON — Companies that hire the unemployed would claim new tax breaks under a jobs-promoting bill the Senate passed Wednesday, delivering President Barack Obama and Democrats a much-needed victory. It’s the first major bill to pass the Senate since the Christmas Eve passage of a deeply controversial health care bill and the subsequent election of Massachusetts Republican Scott Brown, which rocked Democrats by demonstrating their falling standing even among heavily Democratic voters. The bill contain two major provisions. First, it would exempt businesses hiring the unemployed from the 6.2 percent Social Security payroll tax through December and give them an additional $1,000 credit if new workers stay on the job a full year. The Social Security trust funds would be reimbursed for the lost revenue. The Senate’s $35 billion proposal is a far smaller measure than the $862 billion economic stimulus bill enacted a year ago. The measure cleared a key hurdle Monday when Brown and four other Republicans broke party ranks to defeat a filibuster. 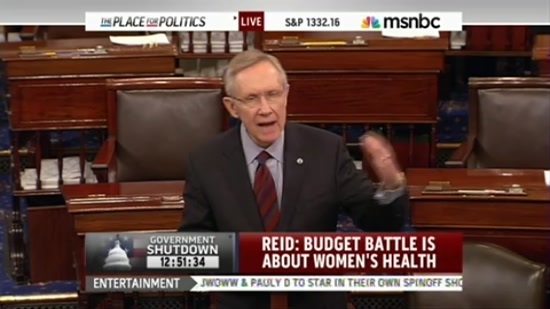 Republican leaders said Majority Leader Harry Reid, D-Nev., had used strong-arm tactics to bring the measure to the floor. Sen. Judd Gregg of New Hampshire, top Republican on the Senate Budget Committee, blasted the measure for increasing the budget deficit to fund highway and transit programs. He said the measure made a joke of Democratic promises to adhere to “pay-as-you-go” budget rules requiring new spending programs to not increase the deficit. Scott Brown was in and out of the Senate chamber and had voted against his party before most of his colleagues had even arrived. “It’s a small step, but it’s still a step,” Brown told reporters after casting a procedural vote in favor of the Democratic jobs bill, bucking his party leaders and the strategy of opposition they have carried out since President Obama took office. 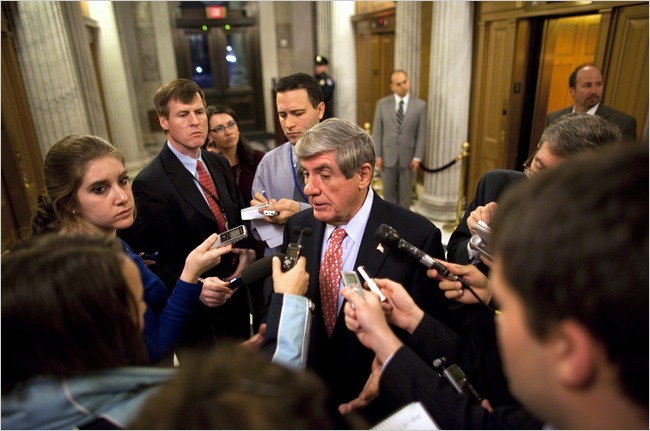 For Senate Democrats, it was much bigger step. Four Republicans followed Brown’s lead, giving the jobs legislation 62 votes, two more than needed to cut off a GOP filibuster. Brown was followed by Sen. Susan Collins (R-Maine), who was followed by her home state GOP colleague Olympia Snowe. Sens. George Voinovich (R-Ohio) and Kit Bond (R-Mo. ), who are retiring, also backed the bill. Voinovich’s vote came after he was given an assurance from Reid that the surface transportation reauthorization bill that Voinovich prizes will be given high priority. I’m pissed off at health care reform. I’m pissed off at this endless process of emotional highs and lows and exhilaration and dejection and history and infamy. I’m pissed off that President Obama “thanked” the independent senator from Connecticut even though the senator nearly killed health care reform this week. To that point, I’m pissed off at Joe Lieberman. I’m pissed off at his childish, vengeful, opposite-day hackery. I’m pissed off at his giant pie-shaped head and his passive aggression. I’m pissed off that he enjoys government-run Medicare benefits while opposing government-run insurance for the rest of us. I’m pissed off at the Senate. The whole Senate. The rules, the senators, the color of the walls, the fact that a doof like Chuck Grassley can actually be elected to it. Multiple times. I’m pissed off that even though we finally have a 60 seat supermajority, it’s dysfunctional and Harry Reid is in charge of it. I’m pissed off that senators of both parties receive government-run primary care from the Office of the Attending Physician, while denying it to everyone else. I’m pissed off at cable news and the establishment press for focusing more on The David Letterman & Tiger Woods Underpants Party than the substance of health care reform. I’m pissed off at Rahm Emanuel and I’m pissed off at the “scary profane a-hole” mythology that’s built up around him, and how he only seems to use his powers of intimidation to bully the left. I’m pissed off at the Republicans. I’m pissed off at their ongoing self-contradictions and lies and bumper sticker sloganeering. I’m pissed off that around 55 Republicans are on Medicare, yet they oppose government-run health care for the rest of us. I’m pissed off at Tom Coburn’s bulbous Dirk Diggler haircut. I’m pissed off at having to compromise while a handful of lopsidedly powerful conservadems get whatever they ask for. I’m pissed off at the Senate health care reform bill. I’m pissed off at the House health care reform bill. I’m preemptively pissed off at the conference report, too, and I don’t even know if we’ll even get that far. And I’m pissed off that my progressivism leads me to the unavoidable conclusion that if we don’t pass health care reform now, innumerable bad things will continue to happen due to the fact that there’s a very serious health care crisis in America. I’m pissed off that I can’t, in good conscience, allow my anger to coerce me into believing that we should “kill this bill.” I’m pissed off about that, too, because I know what could have been, and yet I have no other choice but to settle for what is. For now. But being pissed off doesn’t make this reality any less real.